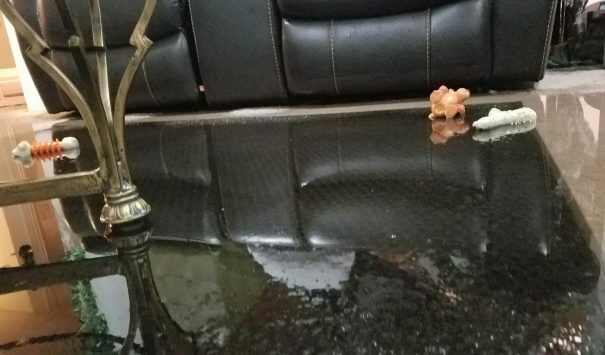 These tenants had the most unpleasant of thanksgiving surprises when the toilet overflowed in the basement. 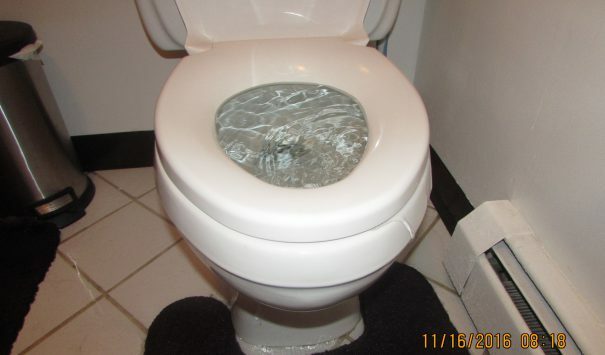 The septic water cascaded out of the toilet bowl and spread all over the bathroom floor and—like a river running wild—stretched throughout the attached rooms as well. This septic water eventually reached the far corners of each room on the floor, creating quite the mess. Between the smell and the extent of the damage, the home owners had quite the situation on their hand. Thankfully for them, the home owners had worked with us before and knew we were right for the job. Cityline was hired to perform emergency services and to do restoration work on the home. We calculated the extent of the water damage and the condition of the walls to better determine a game-plan and time frame. At the same time, we started work right away in order to save the personal property that was in danger. We took the personal property that was contaminated by the water and we repaired and decontaminated what we could. With everything out of the way we went at the basement to properly restore the damages. 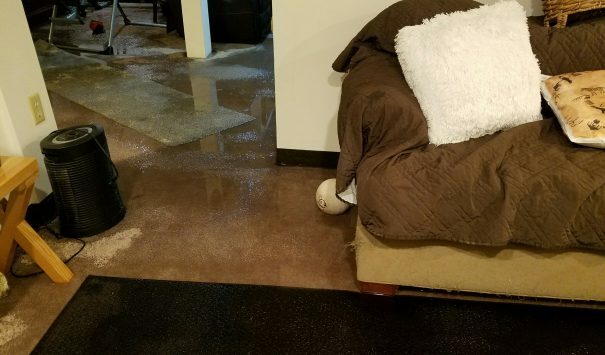 Since the water originated from the sewage system it was critical for us to remove any standing water and the contaminated carpeting from the basement to prevent bacteria growth. 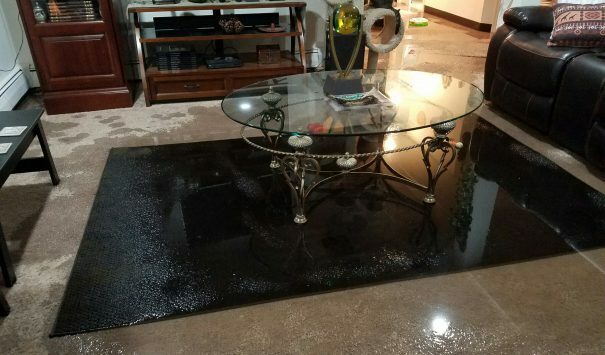 With our equipment we removed the stagnant water from the floors and our crews removed the carpeting from the home without moving any of the damage to the floor above. After we treated the entire basement for any and all bacteria concerns we began the reconstructing phase for this property. This included; filling the gaps in the wall with new drywall, replacing damaged electrical coverings, and placing new carpeting. With all these changes, we paid extra attention to the flow of the property and the architecture, making sure the new wall and floor coloring respected and enhanced the positive vibe of the basement. With the basement giving out those good vibrations again, we reset the place to as it was before the flood with the new furniture in place as well. With everything picture perfect the tenants moved back in and were very happy with the work we did in the basement.